Philadelphia Big 5 (Hardcover) | Let's Play Books! In the "City of Brotherly Love," there are few things taken as seriously as local bragging rights. In a city that lives and dies with its sports heroes, basketball is no exception. 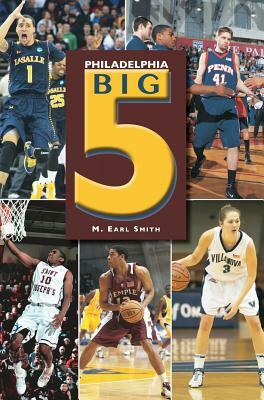 This volume traces the lore and history behind Philadelphia's Big 5, an informal basketball league that features five of the area's most prestigious colleges: LaSalle University, Temple University, Saint Joseph's University, Villanova University, and the University of Pennsylvania. Formed in 1955, the Big 5 pulls teams from the Ivy League, the Big East, the American Athletic Conference, and, in the case of both LaSalle and Saint Joseph's, the Atlantic 10. With a round-robin format, each team plays the other once and best record takes home the trophy. In a sport that has become a nationwide sensation, the spirit of Philadelphia lives on, led by the most loyal and passionate fans in the world.